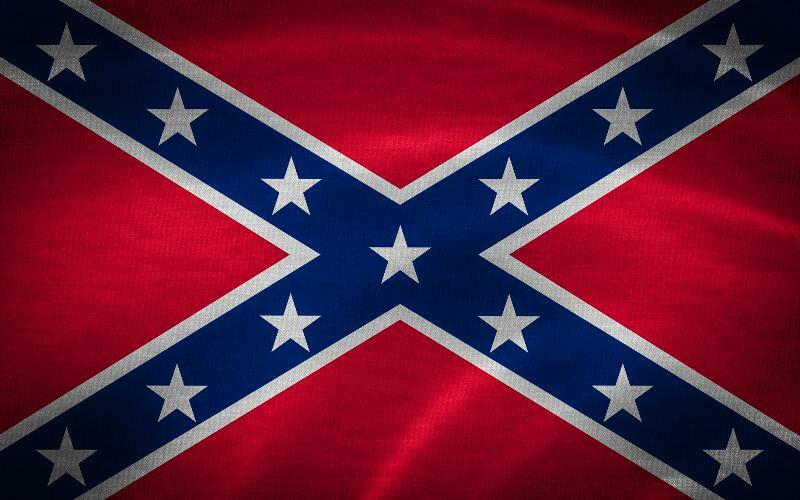 This is the Confederate Battle Flag, not the flag of the Confederacy. If the South’s real concern was maintaining slavery, the South would not have turned down the constitutional protection of slavery offered them on a silver platter by Congress and the President. Clearly, for the South also the issue was not slavery. The real issue between North and South could not be reconciled on the basis of accommodating slavery. The real issue was economic as DiLorenzo, Charles Beard and other historians have documented. The North offered to preserve slavery irrevocably, but the North did not offer to give up the high tariffs and economic policies that the South saw as inimical to its interests. Surely there must be some hook somewhere that the dishonest court historians can use on which to hang an explanation that the war was about slavery. It is not an easy task. Only a small minority of southerners owned slaves. Slaves were brought to the New World by Europeans as a labor force long prior to the existence of the US and the Southern states in order that the abundant land could be exploited. For the South slavery was an inherited institution that pre-dated the South. Diaries and letters of soldiers fighting for the Confederacy and those fighting for the Union provide no evidence that the soldiers were fighting for or against slavery. Princeton historian, Pulitzer Prize winner, Lincoln Prize winner, president of the American Historical Association, and member of the editorial board of Encyclopedia Britannica, James M. McPherson, in his book based on the correspondence of one thousand soldiers from both sides, What They Fought For, 1861-1865, reports that they fought for two different understandings of the Constitution. ESPN has pulled an Asian-American named Robert Lee (Lee is a common name among Asians, for example, Bruce Lee) from announcing the University of Virginia/Wiliam & Mary footbal game in Charlottesville this Saturday because of his name.